I am using HaplotypeCaller for variant discovery and I have found some strange results in my VCF. It appears that this walker is making no calls in positions with reads of support for them in the original BAM. was not called for 2 of the 4 samples available. However, in both samples where the genotype is missing there are many reads supporting an homozygous reference call (0/0). Do you have any idea of why this is happening? @JMFA Can you post the command you used? Did you run HC+GGVCFs or just HC; i.e. is this a gVCF? @tommycarstensen thanks for the quick reply. This is a VCF after VQSR. I ran HC + GGVCFs. There's an article in Guide > Common Problems that covers this topic. It explains how to generate an output bam showing what the region looks like after HC does its reassembly. This might shed some light on what you're observing. Following the workflow from the tutorial, I created the following figure. The individual with the no call is in red. @donfreed, I'm afraid your description of the problem is rather jumbled. It's not clear to me what you're comparing between the various variant records you're posting. Please structure your description more clearly and provide more details about your experimental setup (type of data, number of samples, command lines etc. Note also that the process of going from BAM to VCF (or GVCF) is not a mere format conversion, it's an analysis process. This is not a trivial difference. Precise language is important. @Geraldine_VdAuwera, thank you for your response. I am sorry that my post was not as clear as it could have been. My current goal is to find de novo variants in a WGS trio. 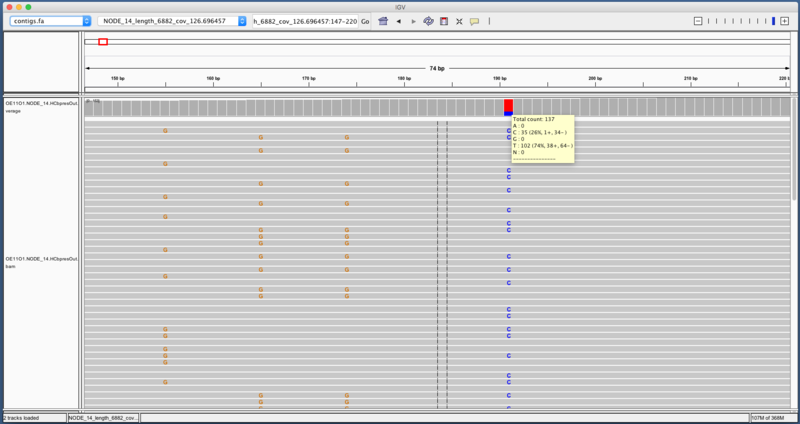 Starting with the sorted BAM files, I processed the data using the current best practices workflow, calling variants with the HaplotypeCaller on a per-sample basis, creating a combined VCF using GenotypeGVCFs and filtering low-quality variants using the VQSR. I would be happy to provide the command line, if you are interested, but it would greatly lengthen this post. Searching for more information on the problem lead me to this post. The main point of my earlier post was mostly to be informative. However, here are the problems I am having: 1) The MIN_DP field of the GVCF file describing variants present in the father seems to be incorrect. 2) The HaplotypeCaller in GVCF mode seems unable to properly call variant calls at some sites, giving the block a GQ of 0. 3) Due to problem (2), it seems like it will be difficult to find true de novo calls in the trio. Are you saying that when you run Haplotype Caller in normal mode with all three samples together, the variant is called correctly in all three samples? 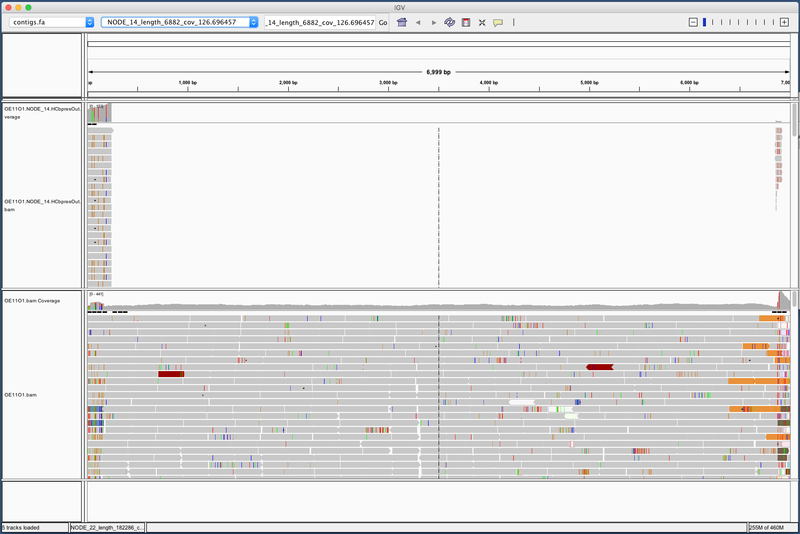 But, when you run Haplotype Caller in GVCF mode on each individually separately, then use Genotype GVCFs, the final vcf has a ./. for one of the samples? Please do post the exact command you used for Haplotype Caller in GVCF mode and the command for Genotype GVCFs. Yes, that is what I am saying. It also seemed like the DP/AD field of the sample with the variant not called is incorrect. 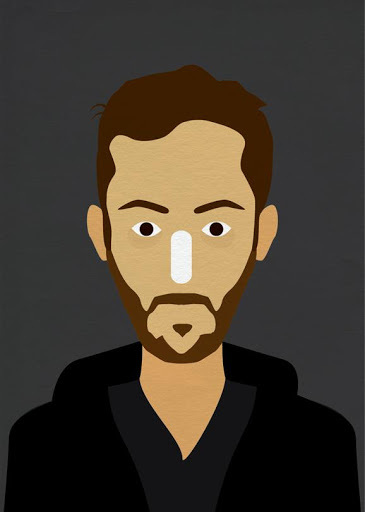 Currently I am using a script I wrote to create GVCFs over short intervals. These smaller GVCFs are then combined using CatVariants. The vcf generated by these steps does not call the variant in the father. Can you try running GenotypeGVCFs on the GVCFs created before running CatVariants? After you create the GVCFs over the small interval containing the position of interest, please run genotypeGVCFs on those and see if the variant is called correctly in all samples. The variant is still not called in the father. 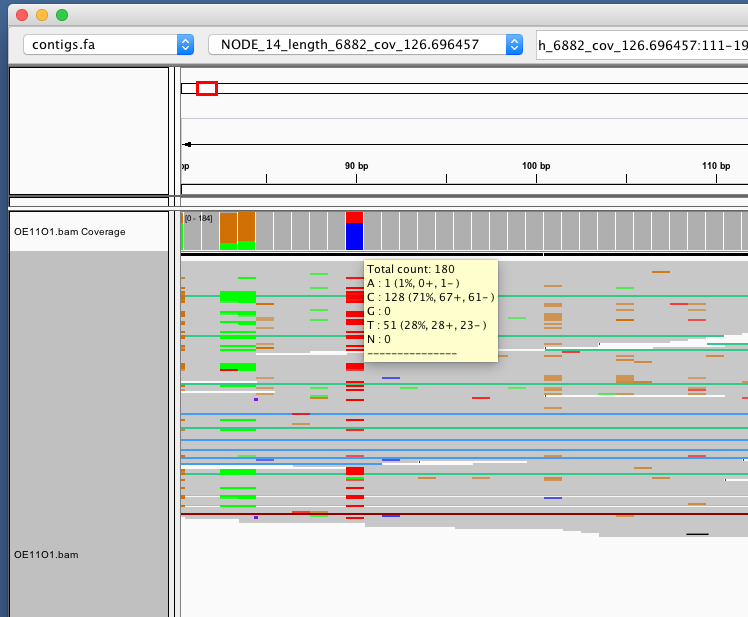 What is odd is that in the VCF produced by Haplotype Caller on all three bams, the DP is 9. But, in the GVCF, the MIN_DP is 37. There is one last thing you can try before submitting a bug report. 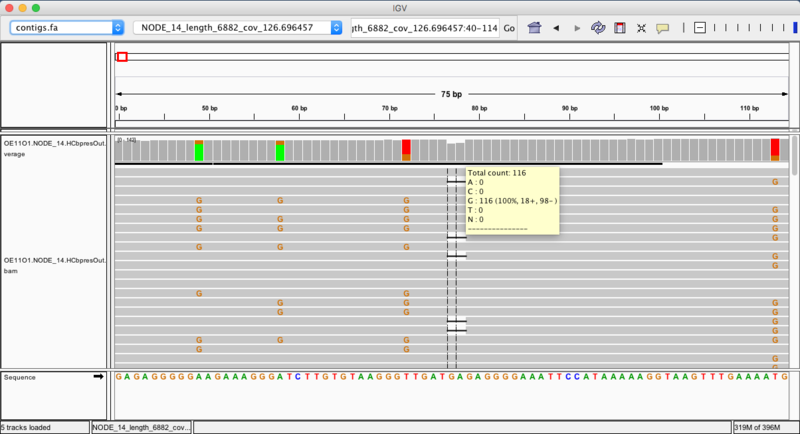 Please try running Haplotype Caller in BP_RESOLUTION mode instead of GVCF mode and see if GenotypeGVCFs gives the correct call. I think the difference in depth may be because the DP of reads that were actually used for calling is more heavily filtered than the MIN_DP that gets calculated for reference blocks. Should have a look at the qualities of the reads in that region -- maybe there are a lot of reads that get chucked out due to being uninformative. If there are really few reads that are considered informative, then it's not so surprising to get a no-call from the per-sample run, while the traditional multisample run manages to rescue the call. The GVCF workflow is a bit more sensitive to low depth/low quality data than the traditional multisample workflow. Yes, it is odd. I ran the HaplotypeCaller and GenotypeGVCFs again using the same commands as above but changing the --emitRefConfidence option to BP_RESOLUTION. The variant is still not called in the father, but the depth changes. Also, strange things are happening with the AD field in both the GVCF and the VCF. Thank you for the suggestion. The problem does seem to be a data quality issue. There are many heavily soft-clipped reads aligning around the variant. Upgrading to the latest version of GATK and adding -rf OverclippedRead during variant calling rescued the call in the GVCF workflow, although the AD field is different depending on whether GVCF or BP_RESOLUTION mode is used. I am having a similar problem - no genotype and wrong AD when genotyping gvcf's. 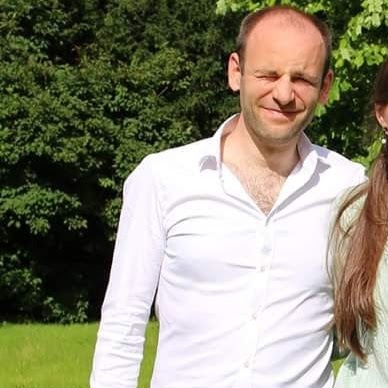 Is there any news concerning this issue? I don't think we ever received test files for the issue. Can you please confirm you are using the latest version of GATK? Also, can you tell us the exact commands you ran? I must not have noticed your request back in January, my apologies. Is there any news on this matter? In any case, I've come across this issue again. I've tried both option for --emitRefConfidence discussed above, and neither seems to get the correct AD. In fact the correct AD should be 128,51 (see the variant at pos 90 in the attached screen shot). This particular variant happens to be an artifact of the reference assembly. But it gets called only in some of the samples but not in others. Is that the original BAM file or bamout file you posted? Can you confirm the mapping qualities and base qualities are high at the site? Also, there is a new flag --emitDroppedReads that will output reads that are filtered out to the bamout file. That may help diagnose what is going on as well. 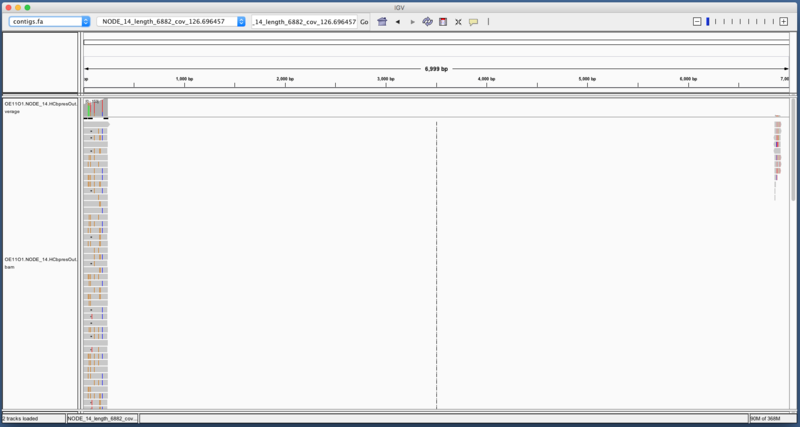 The output bam only contains reads on the first 250bp of the contig (and a small number at the very end as well). The bam has allele depths of 102,35, and the g.vcf has 74,27. So, to my understanding, the AD field is wrong (AD account for all reads, no?). Ah, no the AD does include filtered reads as well as unfiltered reads, but it does not include uninformative reads. Have a look at this article. Shouldn't the bamout with -emitDroppedReads contain all the reads? The original bam has 3914 reads across the entire contig, but the bamout has only 575, almost all in the first 250bp of the contig. I think the IGV screenshot is not accounting for the reads that contain deletions. But, in the GVCF, those reads are counted. Does that make sense? Also, I suspect IGV is not including reads that fail filters. As for the bamout only containing a fraction of the reads, that is because HaplotypeCaller does a downsampling. I hope this clear things up. About the bamout, are you sure this is the reason? 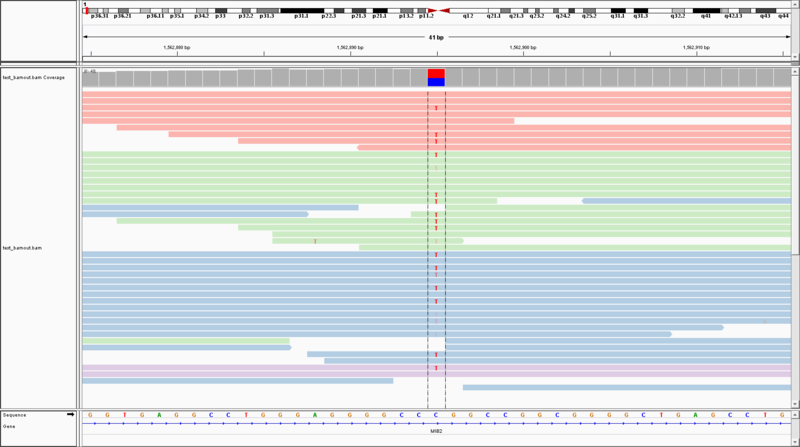 In the original bam the reads are spread pretty evenly over the contig, with an average depth of ~100. In the bamout I only get reads at the very tips of the contig (~1 read length from each end, and the vast majority at the start - see screen shot). The majority of missing reads have a high mapping quality. The bamout file only contains reads in the active regions. So, the regions where there are no reads present, are the regions that HaplotypeCaller is not interested in. Have a look at this article which explains how active regions are determined. Also, if you want to see all the reads in the region in the bamout file, you can add -dontTrimActiveRegions and -disableOptimizations to your command.